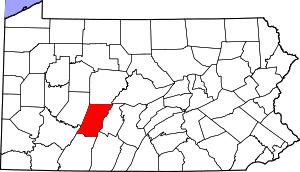 The City of Johnstown, Cambria County, is a post-industrial community just like Pottstown. Steel was king along with heavy manufacturing. Those days are gone and communities have fallen on hard times. When life hands you lemons, make lemonade. Johnstown is doing just that. In an effort to clean up their community and attract middle-income residents, Johnstown has started a program to buy blighted properties, demo them and redevelop the property with a prefabricated home. These are 3 bedroom, 2.5 bathroom homes that are Leadership in Energy and Environmental Design certified. Meaning these homes are energy-efficient. This program is a joint effort between the Cambria County Redevelopment Authority and the City of Johnstown. Funding was obtained through the Neighborhood Stabilization Program (federal). They intend to transform the entire South Street neighborhood PLUS they are targeting business development and a business development strategy to bring in new business! This initial project is only a small dent in Johnstown’s blighted housing stock; however, it’s one house at a time, one block at a time. And that is just what Johnstown officials intend to do.